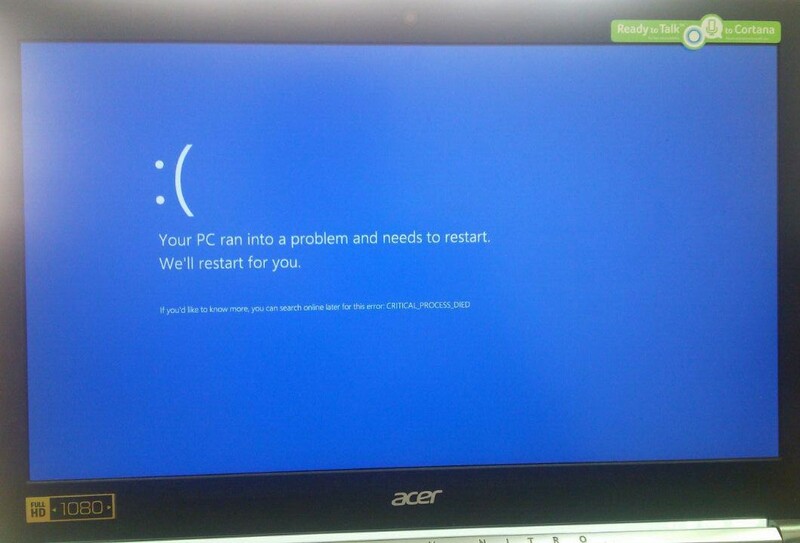 It has all began when I update Windows 10 anniversary on my VN7-592G laptop , I get blue screen most of the time. I have updated all of my drivers but still got the BSOD. I have fresh installed windows 10 Build 10240. and now I still get the BSOD 1 or 2 times a day (Critical process died, unexpected store exception) . I dont know what to do exactly and what causes the problem. FYI, this page is outdated, that is why it says windows 8 exclusive. however, some information on this website may still be helpful! I have installed the driver updates. and before that I have installed a fresh update for windows. It is a driver issue I think. And I can not get any dump file to view. Dont know what to do. Try downloading and reinstalling the Annviversary update from here. It has been a while I get these errors and can not use my laptop well. i have the same problem with my model, critical process died, no minidump gets created (i checked that explicitly in advanced system settings). trying to work this issue out for almost a year and still nothing.